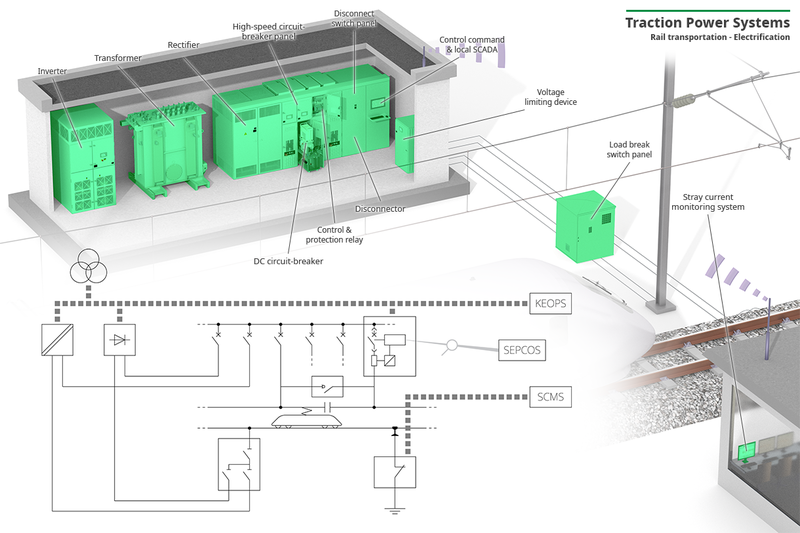 Our Electrical Safety Solutions, Traction Power Systems and On-Board Electronics (HaslerRail) business units design and manufacture safety-critical electrical equipment for the rail, renewable energy, DC grid and other energy-intensive markets. Our Electrical Safety Solutions business unit designs and manufactures standard and custom AC and DC circuit breakers, switches, pantographs, voltage sensors, and other components. For special projects, we also build complex subsystems integrating our own and third-party components in compact high-voltage cabinets that are convenient to ship and easy to install. 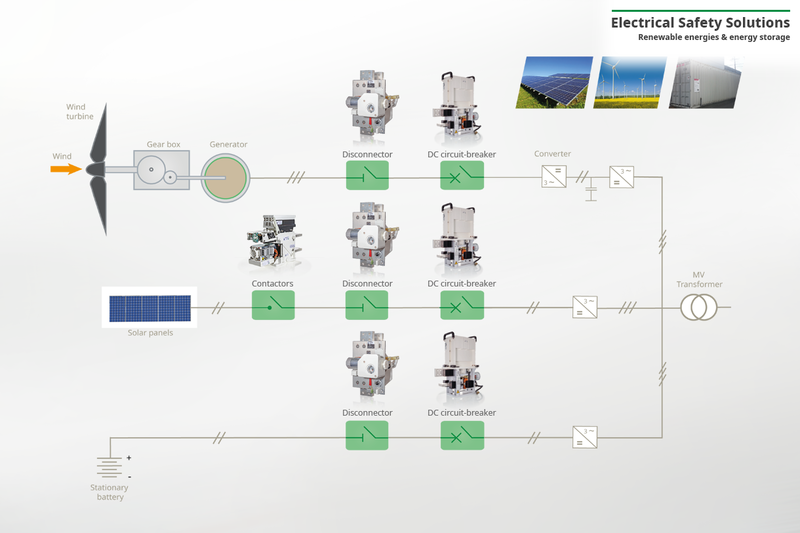 Our components and solutions equip rail vehicles and DC traction power substations, as well as high-power equipment used in energy-intensive industries and renewable energy production. We bring broad, deep knowledge of power transmission and the protection and monitoring of high-voltage electrical circuits. Sécheron has become the standard on our markets, delivering solutions with unparalleled track records and helping to create value for our customers. Our Traction Power Systems business unit specializes in DC traction substations. Our large installed base spans the globe, and includes equipment like conventional diode rectifiers, innovative energy harvesting systems, DC switchgear and distribution panels, and electrical protection and supervision systems. 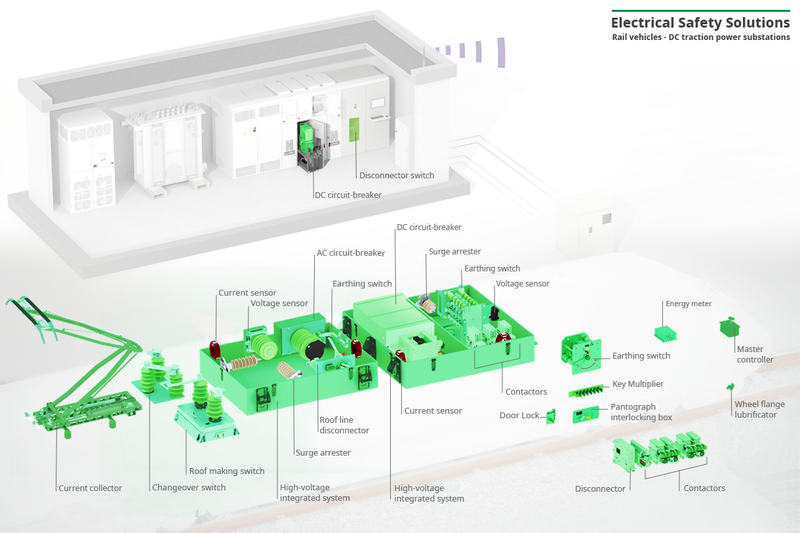 As the world’s leading supplier of electrical equipment for DC traction substations, Sécheron possesses broad, deep knowledge of the technologies used in railway components and has extensive in-house engineering capabilities. We offer a broad range of standard products and can engineer custom solutions to meet our customers’ needs. We can provide turnkey projects for tramway, metro, and railway operators for new lines, extensions, and retrofits. All of our products are backed by value-added services throughout the project and equipment lifecycles. HaslerRail leads the market in safety-related on-board electronics, sensors, software, and data management solutions for the railway industry. As a global partner with qualified technicians and customer support worldwide, HaslerRail aims to deliver unparalleled service during product execution and operation. The HaslerRail European, North American and Chinese supply chains are fully compliant with local and international standards.